Intellectual discovery, experiential learning, and focused observation are at the heart of any visit to the Mount Holyoke College Art Museum. 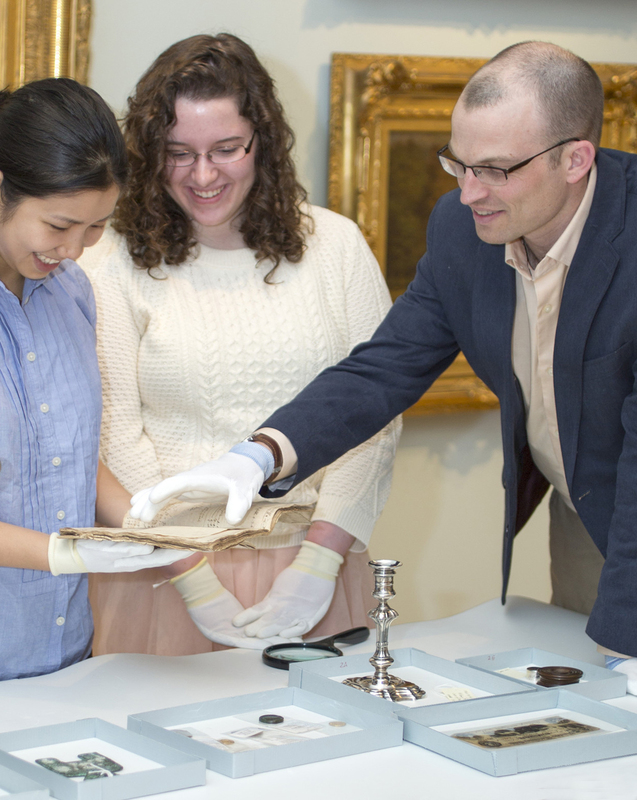 Supporting a long-standing tradition of innovative and interdisciplinary teaching on campus and in the Five Colleges, the Museum offers extraordinary resources for enhancing courses from virtually any program of study. With access to a collection of 24,000 objects and world-class special exhibitions, we look forward to customizing your visit to our galleries or teaching classroom. Not only can we help to meet the needs of your specific course objectives, but we will also strive to foster the transferable skills essential to a well-rounded liberal arts education. We look forward to talking to you about how the Museum can support your curricular and learning goals. Please contact Ellen Alvord, Weatherbie Curator of Education and Academic Programs, at ealvord@mtholyoke.edu for more information or to schedule a planning session. Money doesn’t just talk. It’s also good to think with. Assistant Professor of History Desmond Fitz-Gibbon describes some of the intriguing stories told by coins and other money-related objects in the MHCAM collection: a Spanish real with layers of history, a gold solidus with a disturbing omission, and an assignat, France’s first paper currency. Taught bienially in the spring semester, Professor Fitz-Gibbon’s History of Money course explores the meaning of money from the distant past to the present day.